Dottie West was a singer and songwriter who was one of the most influential female figures in country music. A trailblazing pioneer for female artists in the 1960s, she enjoyed a successful career into the 1980s. She became best known for her “Country Sunshine” television commercial for Coca-Cola, her duets with Kenny Rogers, and her glamorous stage persona. Tragically, her life was cut short in a car accident in Nashville at age 58. Dorothy Marie Marsh was born on October 11, 1932, outside the city of McMinnville, Tennessee. She had a troubled childhood in which her alcoholic father sexually abused her—a crime for which he was sent to state prison. Her mother, Pelina, owned and operated a small restaurant, where young Dottie worked as a waitress. In high school, she sang and played guitar in a school band. She then studied music at Tennessee Technological University. There, she met a steel guitarist and songwriter named Bill West, whom she married in 1952. The couple would have four children together. 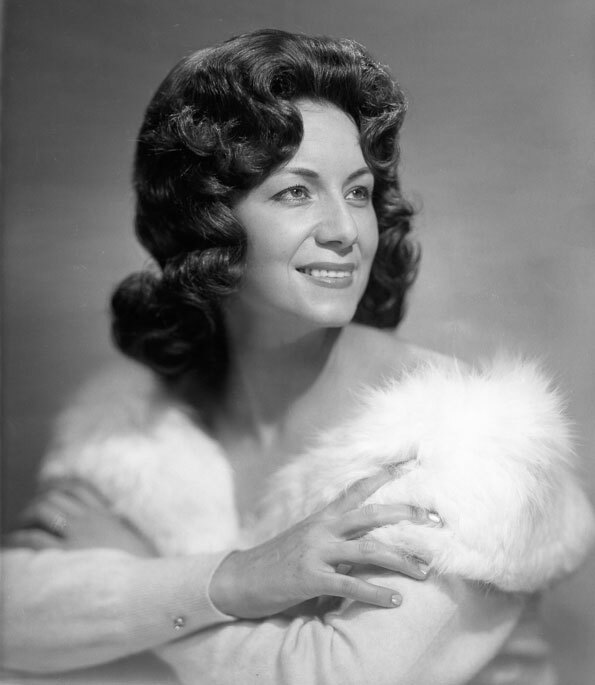 Dottie, her husband, and children moved to Cleveland, where she sang in clubs and on television. She also wrote songs whenever she had time. In 1961, the family moved to Nashville, with both Dottie and Bill having dreams of country-music success. The couple soon became good friends with other ambitious young songwriters in town, such as Willie Nelson, Roger Miller, and Harlan Howard, as well as the great Patsy Cline. Cline became a close friend to the Wests, as well as a major musical influence on Dottie. 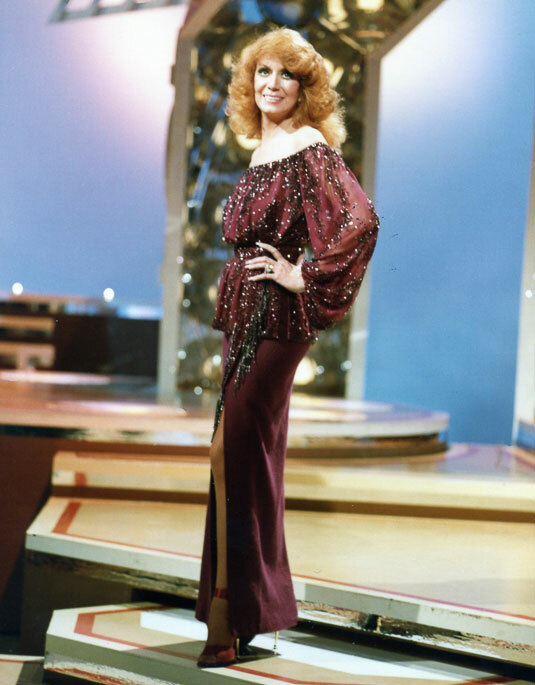 Dottie West on stage during a TV show appearance . Jim Reeves helped West get a recording contract with RCA after he had a hit with a West-penned song titled “Is This Me” in 1963. A composition by the Wests titled “Here Comes My Baby” became a hit for Dottie in 1964, and it earned her the first-ever Grammy Award for Best Female Country & Western Performance. She had more chart hits with “Would You Hold It Against Me” (1965), “What’s Come Over My Baby” (1966), “Paper Mansions” (1967), and “Country Girl” (1968). Dottie singing her first big hit “Here Comes My Baby” in the mid-1960s. In 1969, a duet album with Don Gibson yielded several popular songs, most notably “Rings of Gold,” which climbed to the number-two position. West followed that up in 1970 with an album of duets with Jimmy Dean. In 1972, West married drummer Byron Metcalf after divorcing her first husband. The year 1973 brought West a wide new audience when she wrote and sang “Country Sunshine” for a Coca-Cola television commercial. Following the positive reaction to the song in the commercial—“I was raised on country sunshine, I’m happy with the simple things, a Saturday night dance, a bottle of Coke, and the joy that the bluebird brings…”—she released the tune as a single. It climbed near the top of the country charts and also made a showing on the pop charts. Furthermore, the popularity of the song led to two Grammy nominations for West and a Clio Award for commercial of the year. By the late 1970s, West shifted her career from traditional country toward country-pop. She took on a more sensual stage persona, trading in her simple country dresses for tight-fitting Bob Mackie-designed sequin-and-satin outfits, and doing her red hair and makeup in sexier styles. She debuted her new image in 1977 with the album When It’s Just You and Me, which produced the hit title song. But her career truly began to reach new heights in 1978 with her first duet release with Kenny Rogers, “Every Time Two Fools Collide.” The song became the first chart topper for West. Other Rogers-West hits included “Anyone Who Isn’t Me Tonight” (1978), “All I Ever Need Is You” (1979), and “What Are We Doin’ in Love” (1980). 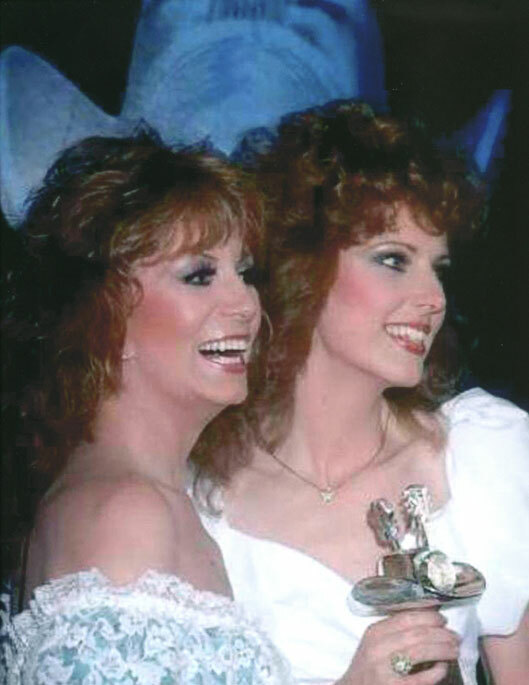 The pair were honored by the Country Music Association with Best Duo of the Year in 1978 and 1979. Dottie and Kenny singing the 1971 Sonny and Cher song “All I Ever Need Is You,” which reached number-one on the country charts in 1979. West achieved her first solo number-one hit in 1980 with “A Lesson in Leavin’.” Other solo hits for her around this time were “You Pick Me Up (and Put Me Down)” (1979), “Leavin’s for Unbelievers” (1980), “Are You Happy Baby” (1981), “It’s High Time” (1981), and “Tulsa Ballroom” (1983). Dottie singing her first solo number-one song “A Lesson in Leavin’” around 1980. Dottie West and daughter, Shelly West together at a CMA Awards show appearance. The album West released in 1984, Just Dottie, would be her last and produced only a couple minor hits. Meanwhile, she dipped her toes into acting. During the ‘80s, she performed in the stage productions The Best Little Whorehouse in Texas and Bring It On Home, as well as in the movie The Aurora Encounter. “Ain’t Nothing Like A Woman” from Dottie’s last album Just Dottie, in 1984. Dottie’s personal life went through many changes in the 1980s. After divorcing Byron Metcalf, she married her third husband, sound engineer Al Winters, in 1983. That marriage ended in 1990 amid deep financial troubles surrounding West. She was forced to leave her mansion outside Nashville when the bank foreclosed on it, she owed the IRS more than $1 million, she lost many of her possessions to the tax agency, and she filed for bankruptcy. Despite her problems, she was planning on making new recordings and staging a come-back. Personal artifacts that belonged to the great Dottie West on display at the Willie Nelson and Friends Museum. On August 30, 1991, West left her apartment in a car that Kenny Rogers had given her when she had fallen into hard times. She was going to perform at the Grand Ole Opry. But the car stalled, prompting a neighbor to offer her a lift. As he was speeding down a freeway exit ramp to get to the Opry on time, the car flew into the air before crashing down on the ramp shoulder. (The crash site is currently marked today with a white cross in her honor.) West sustained a ruptured spleen and lacerated liver. She underwent a series of surgeries but died on the operating table on September 4. In 1995, CBS aired a movie about West’s life titled Big Dreams and Broken Hearts: The Dottie West Story. Actress Michele Lee portrayed Dottie, while several country stars appeared as themselves, including Kenny Rogers, Kris Kristofferson, Willie Nelson, Larry Gatlin, Dolly Parton, and Loretta Lynn. 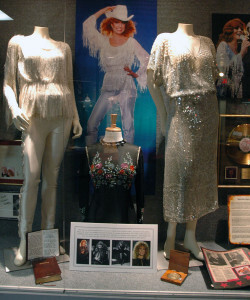 Regrettably, Dottie West has not yet been inducted into the Country Music Hall of Fame. However, that will hopefully change in the near future as many country artists like Jeannie Seely are doing all they can to help get her inducted. As part of that effort they have created a facebook page called DOTTIE WEST Needs Inducted into the Country Music Hall of Fame. Be sure and check it out as it contains lots of great photos and information about Dottie and her illustrious career. Happily we can now report that effort was successful as Dottie West has been selected as one of the three new 2018 inductees into the Country Music Hall of Fame. Read the full story about it here. Juli Thanki. Country trailblazer Dottie West remembered. Tennessean. August 16, 2016. Biography on website of Dottie’s daughter-in-law, Kenna Turner West. Judy Berryhill and Frances Meeker. Country Sunshine: The Dottie West Story. Eggman Publishing, 1995.